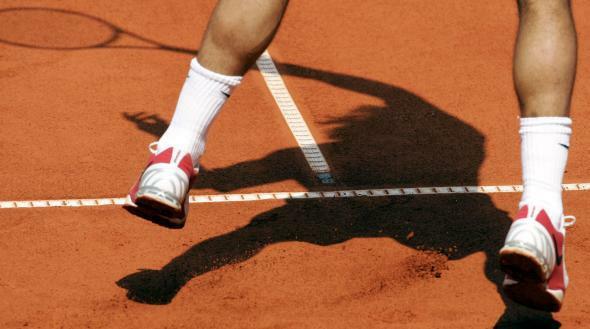 Report finds tennis match fixing continues to plague top tournaments and top players. Tennis continues to face serious allegations of match fixing orchestrated by gambling syndicates. BuzzFeed and the BBC on Monday came out with a deep investigation, with the help of a leaked 2008 report, into the sport of tennis and what’s turned out to be an unholy relationship with the gambling industry. The publications found that some 28 top-level players, including Grand Slam winners, were cited by the report as suspected match fixers, intentionally tanking while organized crime syndicates in Russia and Italy profited off of huge bets. The investigation found that a core group of 16 players, all ranked in the top 50 in the world at some point, have been repeatedly flagged by investigators for suspect performances, but the Association of Tennis Professionals (ATP) did not sanction any of the players. According to the BBC, eight of those players were entered in the first round of the Australian Open currently underway. More than 70 players’ names have appeared on lists of suspected match fixers over the past decade and none have been punished, according to BuzzFeed. The suspected players were not named, but the story builds upon the investigation of the 2007 match between Russian Nikolay Davydenko and Argentine Vassallo Arguello. Davydenko was ranked number four in the world when he faced off against the 87th ranked Arguello in Sopot, Poland. Huge amounts of money was placed through British bookmaker Betfair on the underdog Arguello to upset the reigning tournament champion such that he was the favorite by the start of the match. Davydenko promptly won the first set and even more money poured in Arguello. Soon Davydenko’s fortunes started to turn as he dropped the second set before withdrawing due to injury in the third set. The result was so suspicious that Betfair took the unprecedented step of voiding all the bets that had been made on the match, a first for the company. The match prompted an outcry and triggered a thorough investigation by the ATP that appears to have had little impact on the functioning of the sport. Head over to BuzzFeed for more of the jaw-dropping details.